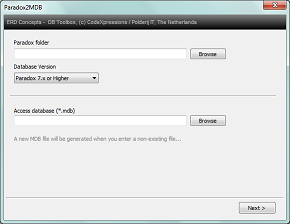 DB Toolbox is a library of database tools which you can use, free of charge. More useful tools will be added in the future. Feel free to contact us when you have any special requests or are in need of a certain toolset related to databases and database design. Generate custom test data for your database using standard SQL commands. 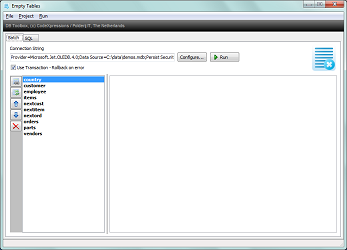 In combination with a build-in command set you can customize all values inserted into the database tables. 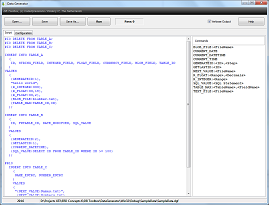 A sample script with a Microsoft Access database is included to get you started. Convert your legacy Paradox tables to a Microsoft Access database. Conversion includes tables, tables with auto increment fields and indexes. You don't need MS Access in order to use this tool. 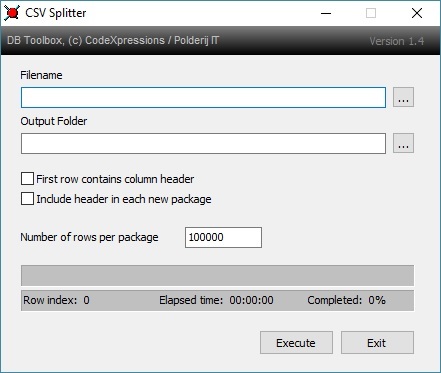 CSV Splitter will split large comma separated files into smaller files based on a number of lines. CSV Splitter will process millions of records in just a few minutes. It will work in the background so you can continue your work without the need to wait for it to finish. An easy to use tool for saving SQL datasets to comma separated files (*.csv). 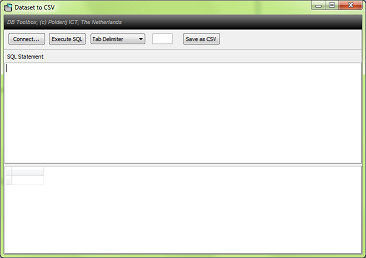 Simply connect to a database, execute your sql query and export the data to file. ADO Connection String Checker will allow you to quickly test your database connectionstring configuration without the need to install or run other software packages. Project based tool for deleting data from multiple database tables. With a customizable delete command you can quickly empty all selected tables and review the results in an event log. You can easily reorder the table list by dragging the items or by using a context popup menu.